Registered massage therapists are specially trained to develop treatment plans geared towards increasing your quality of life by decreasing chronic pain and increasing your sense of physical and emotional well being. At Kinesis Health Associates, we have four registered massage therapists on staff to work with you on your path to wellness. To take advantage of all that massage therapy has to offer, schedule your appointment today. Michael graduated from the Canadian College of Massage and Hydrotherapy in Halifax in 2009. He has been a part of the integrated health team at Kinesis Health Associates for more than six years. He specializes in posture, shoulder and rotator cuff dysfunctions, nerve entrapment, pinched nerves, carpal tunnel syndrome, scar tissueand the treatment of headaches. 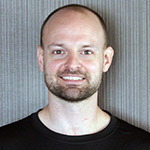 Outside of the clinic, Michael likes to maintain a healthy, active lifestyle, with experience in many different sports. He frequently attends yoga and martial arts classes in the community. He enjoys bringing his knowledge and experience to people of all ages and lifestyles. Mel graduated from ICT Northumberland College in Halifax, Nova Scotia, as a massage therapist in 2003. Upon graduating she returned to her home province of Newfoundland to practice Massage Therapy. 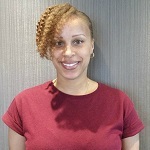 Northumberland provided her with solid clinical massage therapy training which she put to good use in treating a variety of conditions such as TMJ dysfunction, sciatica, whiplash, sports injuries, repetitive strain injuries, and postural imbalances, just to name a few. Mel combines Swedish massage techniques, Chinese cupping and Myofascial Release to achieve a whole body approach to healing. When it comes to rehabilitation and preventative care Mel understands the importance of combining therapies. Her experience working in multidisciplinary clinics has proven to her the profound effect it can have on healing when combining massage with other therapies such as physiotherapy, chiropractic, acupuncture, and even psychology. You can rest easy knowing you are in the capable hands of a therapist with 14 years of experience. Ashley graduated with a BSc. in Kinesiology from Dalhousie University in Halifax, NS and received a Diploma in Massage Therapy from the Royal Canadian College of Massage Therapy in Toronto, ON in 2013. Ashley has additional training in cupping, gua sha and Rapid Adhesion Release Technique. She is a current member of the Massage Therapists Association of Nova Scotia. 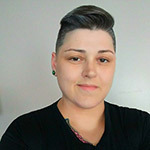 Ashley is a certified Fascial Stretch Therapist Level 1 and is currently pursuing the next level. 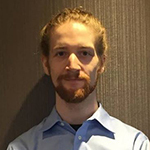 Steven graduated from the Canadian College of Massage and Hydrotherapy in Halifax in 2017. He is starting his career with the Kinesis Health Associates team. He specializes in deep tissue, sports injuries, stretching, rehabilitation and newly added cupping and Gua Sha into his practice. Outside of the clinic, Steven maintains an active, healthy lifestyle and is also a personal trainer. In addition, he is currently training competitively in CrossFit with the hopes of making it to the next level. With his passion for fitness, Steven enjoys sharing his experiences and knowledge with the public. He is also bilingual, offering services in English and French. 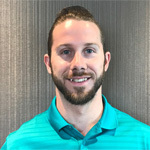 Specializing in cupping, fascial techniques, and deep tissue therapy as well as creating and coordinating short or long term treatment plans between RMTs, Andrew is eager to start at his first multidisciplinary clinic and see what more can be accomplished with access to a variety of modalities.